Fall into Action! Register Now! Bonne Cuvée Wine Tours in the Loire Valley! We have been delighted with all your requests and thank you for your patience while we prepared every detail of our next Bonne Cuvée Wine Tour and we are happy to let you know registration is now open! 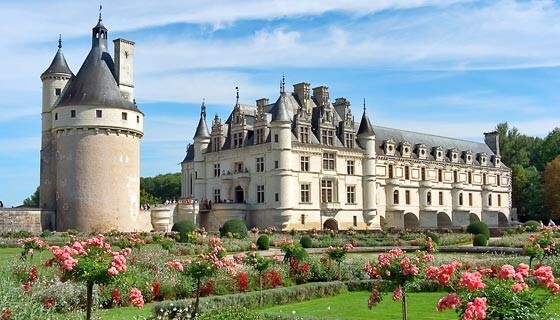 Our tour begins in Paris, the City of Lights, and settle in the heart of the Loire Valley in the city of Tours, surrounded by the wine regions of Vouvray and Sancerre (known white wines) and Chinon and Bourgueil (mostly red wines). We will visit vineyards, where we will have personal tastings, as well as numerous chateaux which overlook the river with the original French royal emblem, the fleur-de-lis, that adorns many a stained-glass window. This is an area with a rich history, known for Joan of Arc, the 100-year war, and Leonardo da Vinci’s final resting place. For wine lovers, the Loire Valley is an important region producing an array of wines using some of the most famous and popular grape varietals such as Sauvignon Blanc, Chenin Blanc, and Cabernet Franc. 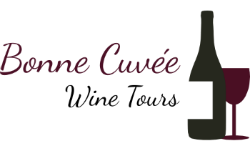 Why choose a Bonne Cuvée Wine tour? • To experience first class wine tours where you will encounter others who share your curiosity about wine. • To explore the most beautiful places, the best wine regions and to taste the local fare in select restaurants. • To relax while English and French-speaking experts accompany you and organize every detail of your visits. • To learn through interactive wine workshops that will take you each step of the way in the art of wine tasting. • To improve your wine knowledge and taste with confidence no matter what your wine level! All wine levels are taken into consideration when we plan our group and are welcomed! Groups are limited in size to keep our wine tours personal. Ready to start your wine adventure?